This morning i went to one of my favorite pond (more of a waterhole) to photograph frogs, my first try this spring. I wasn’t prepared for what i found, at least 20 green frogs were dead in the pond, smaller and bigger ones as well. 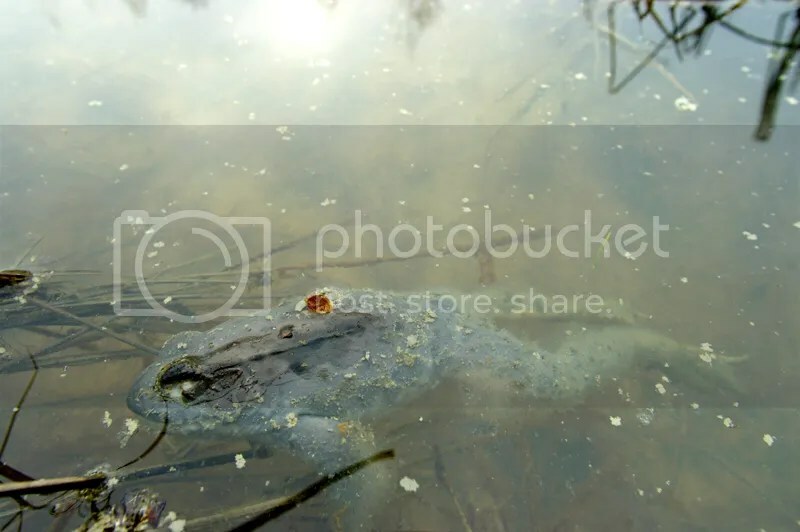 I don’t know if it’s due to a disease or i also found information on the web that on smaller artificial pond in peoples backyard the decaying leaves can release toxic gas and the frogs can suffocate during the winter ? I saw only one frog alive that jumped in the water… that’s all ! Here are two photos i took this morning of the dead frogs. 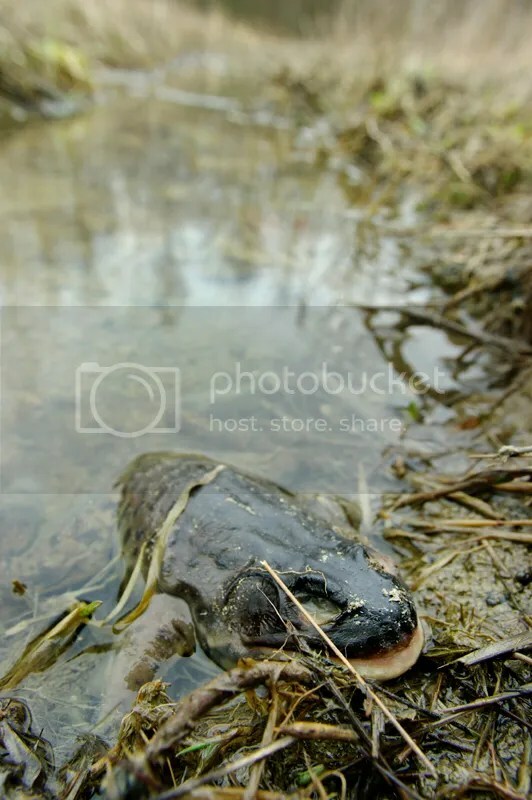 This one looks like he nearly made it out of the deadly water. This entry was posted on March 24, 2012 by Steeve Marcoux. It was filed under Photo experience and was tagged with environment, nature.